He’ll have much more room in the new space. How much good can bikes do under just one roof? How about a coffee shop up front where homeless and at-risk youth learn job skills and a bike shop in the rear where they learn bike repair skills? 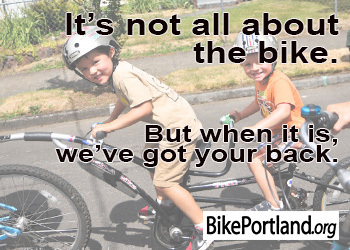 That’s what Braking Cycles and Bikes for Humanity PDX have planned for a new venture coming to SE 33rd and Powell. We shared the story of Braking Cycles in 2014, right when social service worker Rhona Maul was starting up the new venture. 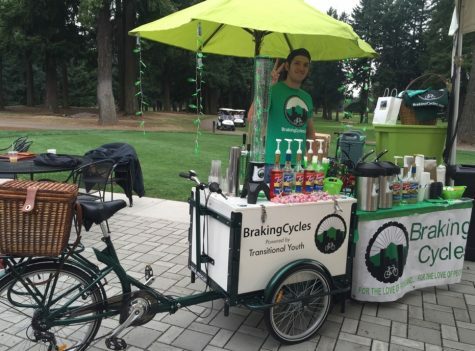 Braking Cycles is a project of Transitional Youth, a Beaverton-based non-profit that helps homeless and at-risk youth integrate into the community. For the past three years Maul has been working to make her dream of having a stand-alone shop for the program a reality. Now she’s just $12,000 away and has launched a crowdfunding campaign to get there (watch the video below). The partnership with Bikes for Humanity came at an opportune time. That organization — which provides refurbished bikes at low-cost, repair services, and bike maintenance education classes — has faced a few years of rough finances as it adjusts to life without its founder. 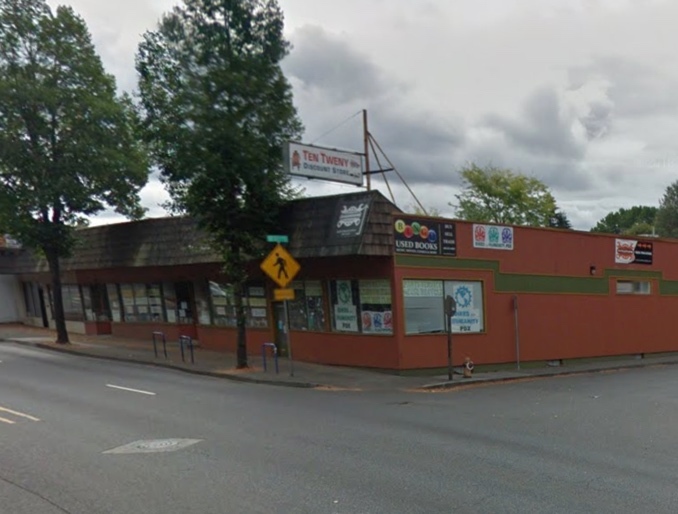 Future location at SE 33rd Place and Powell. Bicycles for Humanity volunteer Andrew Shaw-Kitch said the new arrangement will allow them to continue to operate their shop, school, and headquarters in one half of the shop, while Braking Cycles operates out of the other half. Once the renovation is complete (assuming the crowdfunding is successful), youth who participate in the Braking Cycles program will go through a six-month paid apprenticeship program where they’ll learn how to pull espresso shots and pull bottom brackets with equal aplomb. The post Two non-profits team up for new coffee/bike shop on SE Powell appeared first on BikePortland.org.